hot pink? 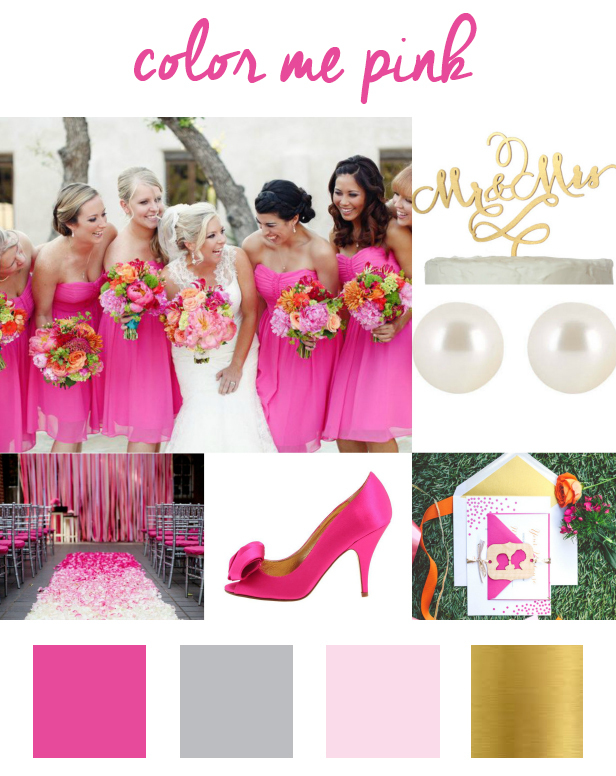 Now I know when you think of the word classy – hot pink is not the first color that comes to mind, but hot pink can give a wedding a bold statement while at the same time adding a classy touch to it with gold, light gray, and blush accents. themes – rustic country chic, vintage, city chic, and so many others! Hot pink can be very bold…so it’s important to add necessary touches to make your wedding look naturally elegant – for example, you can add pearl earrings to the look to give your bridesmaids a more vintage look. Another way to tone down the bright, vivid color is to add subtle accents such as – light gray, blush pink, and a soft gold.